Jeff Canterbury, CEO and founder of the Canterbury Agency, is leading a northern Georgia charity campaign to help provide meals and emergency shelter to families in the region facing financial difficulties. Proceeds from this charity drive will be provided to MUST Ministries, a faith-based nonprofit organization that works with underprivileged families. 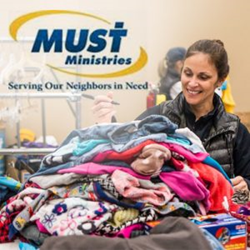 “We are inspired by the dedication of MUST Ministries to provide to our community. It is clear that they are constantly striving to ensure that everyone in the community has equal opportunities,” said Canterbury. To encourage the involvement of area residents, the Canterbury team has initiated an invitation program. CEO Jeff Canterbury has pledged to issue a $15 donation to MUST in the name of anyone who refers a friend or family member into the firm to receive a complimentary, no-obligation insurance analysis. Additional information on how to support this event, and a form that allows readers to suggest other local charities for the Canterbury Agency to assist, can be found here: http://canterburyagency.com/rewards/. As a Personal Insurance Representative in Alpharetta, agency owner Jeff Canterbury knows many local families. His knowledge and understanding of the people in his community ensures that clients of the Canterbury Agency are provided with an outstanding level of service. Jeff and his team look forward to helping families protect the things that are most important – family, home, car and more. The Canterbury Agency also offers clients a preparation strategy for achieving their financial goals. To contact an expert at the Canterbury Agency, visit http://canterburyagency.com/ or call (678) 631-6311.